An early Open Letter about the Codex threat, written by Dr. Rath in 1996 and addressed to German Chancellor Helmut Kohl and members of the German Bundestag. With this letter I would like to draw your attention to one of the most important decisions of your public office: your decision will directly affect the life and health of every human being in Germany and hundreds of millions of people world wide. Over the next months a Commission of the United Nations World Trade Organization named “Codex Alimentarius” will meet in Bonn, Germany and other capitals. This “Codex” Commission is overwhelmingly composed of representatives of German and international pharmaceutical corporations, and its aim is to set world-wide guidelines for vitamins, amino acids, minerals and other dietary supplements. Spearheaded by the German pharmaceutical corporations, this Codex Commission plans to ban, on a world wide scale, any health statements in relation to vitamins, be it preventive or therapeutic. Moreover, the only vitamin formulas which would still be available would have to meet the arbitrary restrictions of the Codex Commission. The nations that do not comply with these restrictions are faced with economic sanctions. Helmut Kohl, Chancellor of Germany from 1982 to 1998. 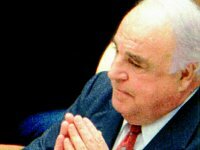 Prior to becoming German Chancellor, Helmut Kohl had worked for the ex-IG Farben Cartel member BASF and was a paid lobbyist for the German pharmaceutical and chemical industries. In 1998, a mere 2 years after the publication of Dr. Rath’s 1996 Open Letter, Kohl was heavily defeated in a federal election. 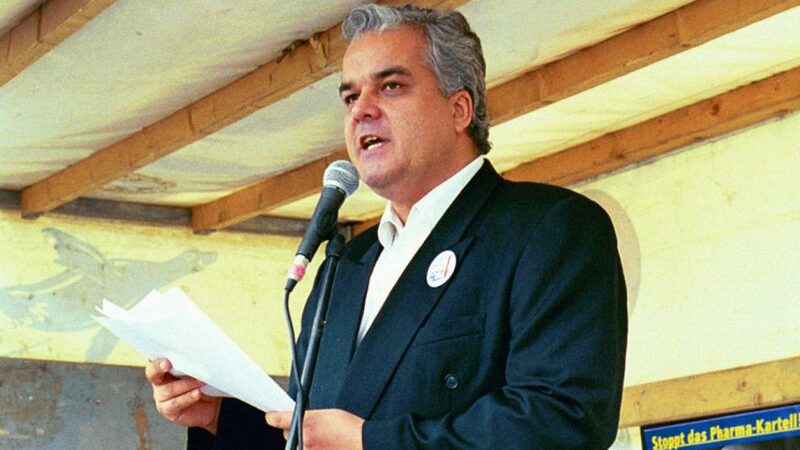 He subsequently became embroiled in a financial scandal when it was discovered that his political party had received and kept illegal donations during his leadership. These plans of the pharmaceutical corporations and the Codex Commission are in direct opposition to the overwhelming importance of vitamins and other essential nutrients for human health and, in particular, for preventing cardiovascular disease. As a physician and scientist who led the breakthrough in vitamin research which can eradicate heart disease, I felt it is incumbent upon me to address this important matter. Animals do not get heart attacks because they produce their own vitamin C. Clinical studies with vitamins show that coronary heart disease can be stopped in its early stages, long before a heart attack occurs. My two books, Eradicating Heart Disease and America’s Most Successful Cardiovascular Health Program, show the perspective of this medical breakthrough: heart attacks and strokes will essentially be unknown in future generations. It is also with this background that, in August 1994, the US Congress passed laws specifically allowing health claims in connection with vitamins. Moreover, the American Heart Association, the world’s largest association of cardiologists, in a press release distributed world wide, supported the importance of vitamins in the prevention of cardiovascular diseases. With this background, the attack of the Codex Commission is a desperate act by pharmaceutical companies to protect their world-wide drug market against naturally effective and much more affordable vitamins. Particularly disturbing is the spearheading role of the German pharmaceutical corporations within the Codex Commission. Once before in this century, a German pharmaceutical and chemical corporation, I.G. Farben, became responsible for the deaths of millions of people and consequently, was dismantled in 1946 by the Nuremberg Tribunal and split into Bayer, BASF and Hoechst. With the current plans of the German pharmaceutical companies, the predictable dimension of the unnecessary and premature death of millions of people is unavoidable. If the Codex Commission is allowed to obstruct the eradication of heart disease by restricting access to nutritional supplements, more than 12 million people world-wide will continue to die every year from premature heart attacks and strokes. Within the next generation alone, this would result in over 300 million premature deaths, more than in all the wars of mankind together. Cancel all meetings of the Codex Commission on German soil! Stop politicians and representatives of the pharmaceutical companies from participating in this Commission! Declare publicly that you will protect the health interests of millions of people world wide against the plans of the German and International pharmaceutical corporations! Immediately pass laws that guarantee free access to vitamins and other nutritional supplements for everyone in Germany! Make every effort within the European Community to abolish all barriers restricting free access to dietary supplements! Support the eradication of heart disease, now possible through advances in vitamin research, by all means available!